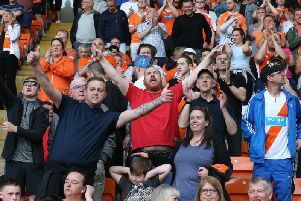 Blackpool boss Gary Bowyer has revealed he may be forced to bring in reinforcements as injuries take their toll on his depleted side. The Seasiders managed to spring an FA Cup shock against Championship club Barnsley on Tuesday despite suffering injuries to key players Kyle Vassell, Andy Taylor and Jack Payne. The trio join the queue for an already busy treatment table, with Brad Potts, Colin Daniel and Eddie Nolan already on the sidelines. Speaking after the 2-1 win at Oakwell, manager Bowyer said he may have no choice but to dip into the January transfer market. “We’re short on bodies,” he said. “We’ve already got a couple injured and now we’ve picked up a few more, so we’re going to have to try to get busy and see what we can do. “We’re going to have to try to get some bodies in to help us because we have seven games in a busy February. The Pool boss said the busy festive period and the club’s run to the third round of the Checkatrade Trophy had an impact.